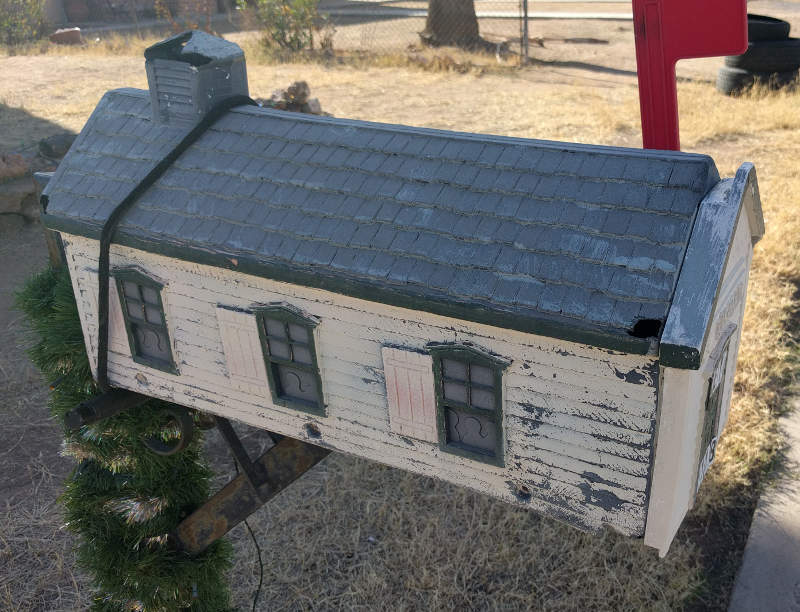 This slightly worn-out building mailbox is worth showing even when its post isn't wrapped with tinsel. This is the west side. 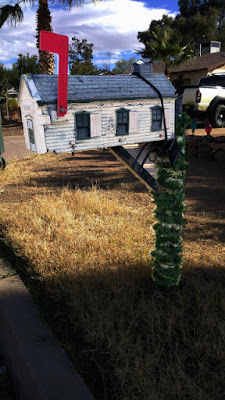 I spotted it as I drove round and round a neighborhood south of Reid Park on December 16th.